Those of us who haunt local coffee shops or only associate with coffee connoisseurs know the importance of baristas. It might seem obvious, but baristas are important. Like really important. They are more than a brewer or pourer, but an artist whose creations are fuel our lifestyles. They prepare drinks, dream up new recipes, and can make coffee to your exact specifications. 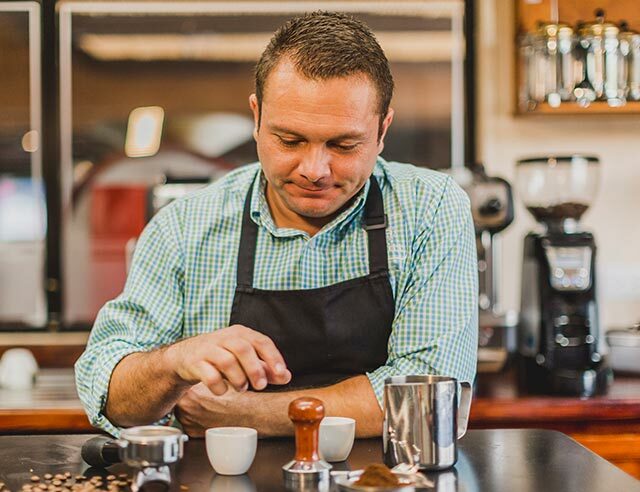 Our Master Barista, Alexander Elizondo, has been with us since 1999. 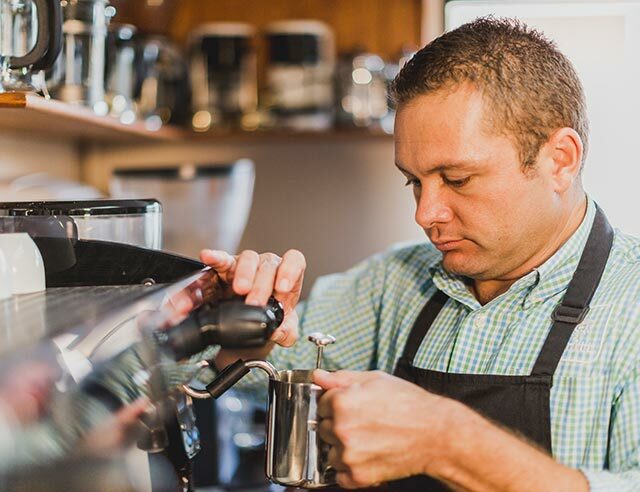 He started out at Britt selling coffee at the end of our famous coffee tour, but what started out as a job quickly became a consuming passion. 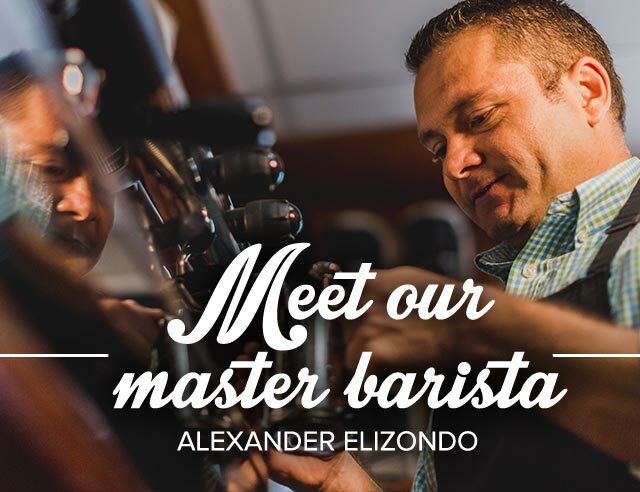 Although like most Costa Ricans, Alexander had grown up in coffee culture, and his father worked for coffee farmers during harvest season, he had never fully appreciated the artistry that goes into creating different blends. After a few months Alexander became one of the first people to work out of Britt’s first store at the Costa Rican airport (which at the time was housed in a golfcart!). It was there that he drew the attention of the president of the company, Philliphe Aronson. Phillphe saw potential in Alexander and asked if he would like to work as a barista and be in charge of training other employees to prepare coffee the right way. 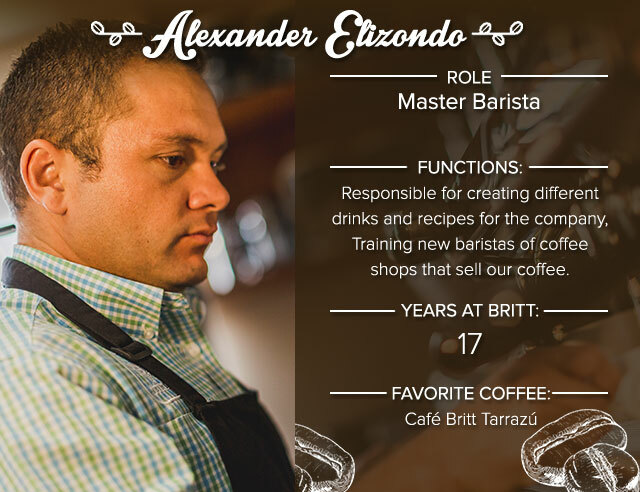 Alexander accepted immediately and under the tutelage of our experts, quickly became a full fledged barista. He also took a barista course in the United States with the Specialty Coffee Association of America. 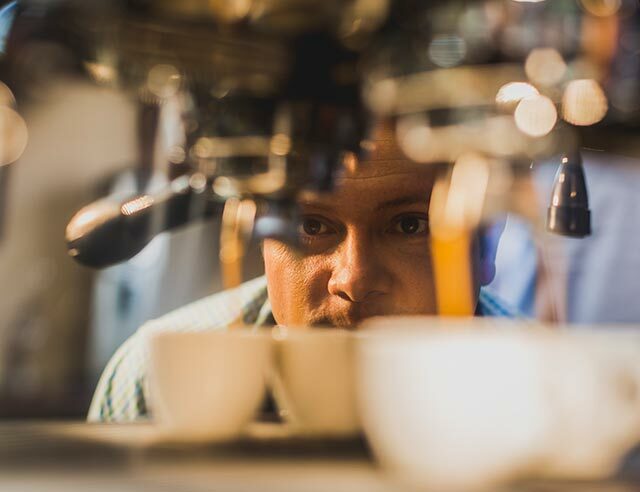 Not only does Alexander make the best cappucinos and most refreshing iced coffees we’ve ever tasted, he knows everything there is to know about the machines and brewing methods that go into every single cup. His thirst for knowledge is so deep that he has even visted and trained at CIMBALLI, one of the best coffee machine companies. What is to be a barista for him? 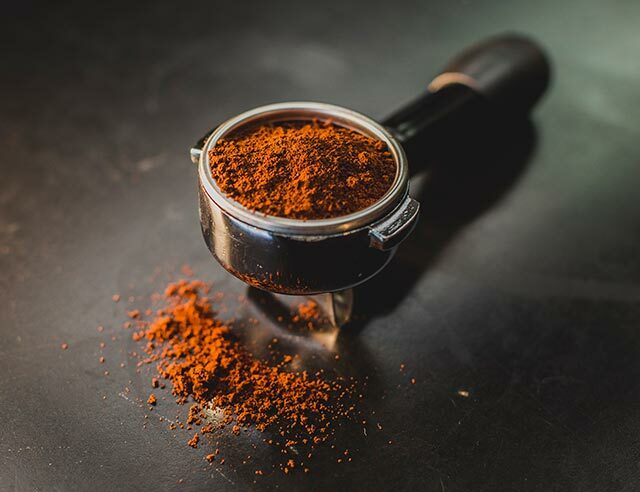 Alexander firmly believes that coffee is about far more than a drink, but that it should satisfy a person’s desires, leaving them feeling content and ready to face their biggest challenges. He also believes that a barista is much more than someone who presses a button on an espresso machine. They must be true masters of preparing coffee using every method. “Coffee is very personal, and you should only do exactly what people want, because that’s how they enjoy coffee,” he says. 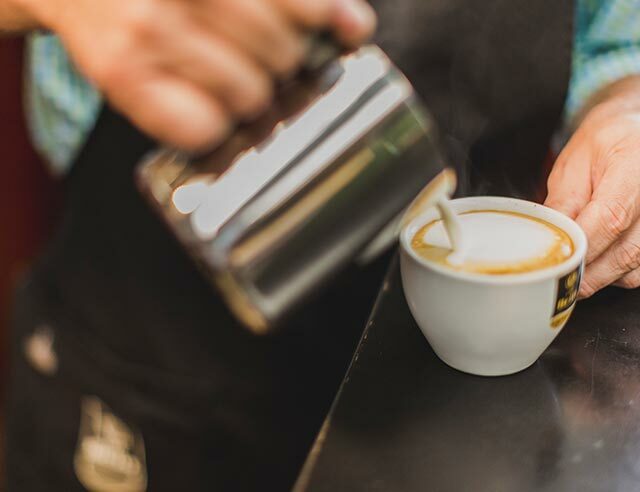 A day in the life of a barista? Alexander starts each day with (you guessed it) a cup of coffee. 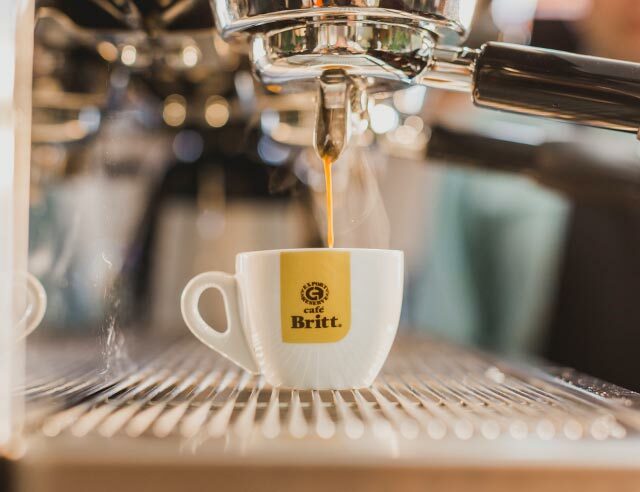 He prefers his coffee black and his favorite kind is Tarrazu, although he’s happy to drink whatever’s available—as long as it’s Café Britt of course! After his morning cup of joe, he starts to prep for the day’s training sessions. He makes sure the machines are in working order, gathers ingredients, and reviews the information he plans to teach. It might sound stressful to someone else, but Alexander’s favorite part of his job is teaching others. He spends the day explaining the basics of coffee preparation from grinding to roasting. He also teaches students how to make famous drinks that baristas offer at well-known coffee shops. After the training session, Alexander works on whatever business needs attending to, whether that’s developing seasonal recipes for our emails, posting on social media, or relaxing with a delicious cup of coffee. Obviously, Alexander loves coffee of all kinds, but his personal favorite preparation method is the French Press. His top coffee making tip? 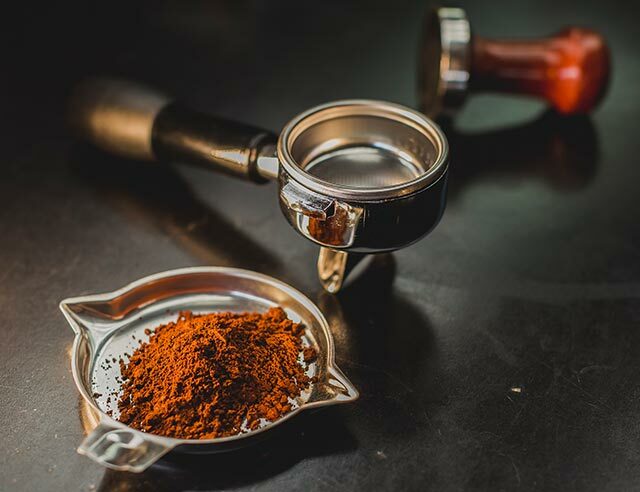 Grind the coffee before you begin, no matter what brewing method you plan on using. Alexander’s other Master Barista secret is that he won’t tell you what to put in your coffee. 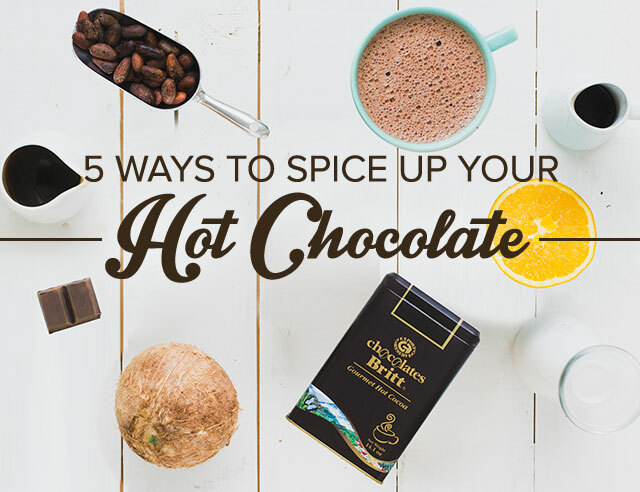 He encourages sugar, milk, or whatever else makes it taste the best to you because he believes you should be able to enjoy your coffee exactly how you like it.